An image that is being widely shared as that of murdered rifleman Aurangazeb is that of soldier Naik Deepak Nainwal. 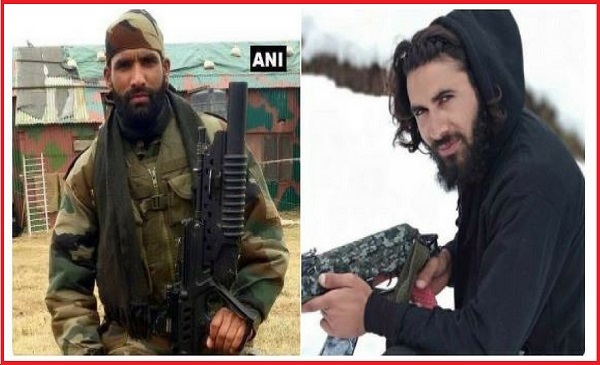 An image (on left) that is being widely shared as that of rifleman Aurangzeb who was abducted and killed by terrorists in Pulwama district is actually the picture of soldier Naik Deepak Nainwal who died a month back in Pune. While Aurangzeb (on the right) was found murdered on June 14, 2018, Nainwal passed away on May 20, 2018. 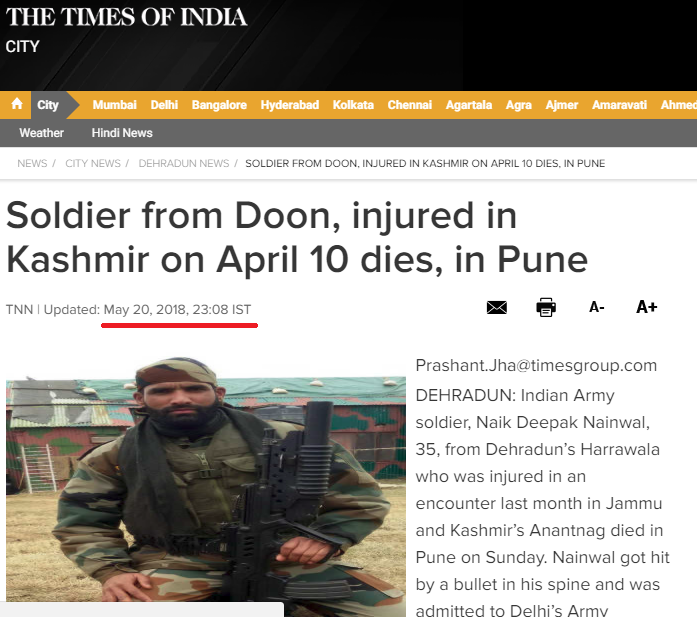 He was injured in an encounter on April 10, 2018 in Jammu and Kashmir’s Anantnag and was undergoing treatment in Delhi and later in Pune, as per a Times of India report. 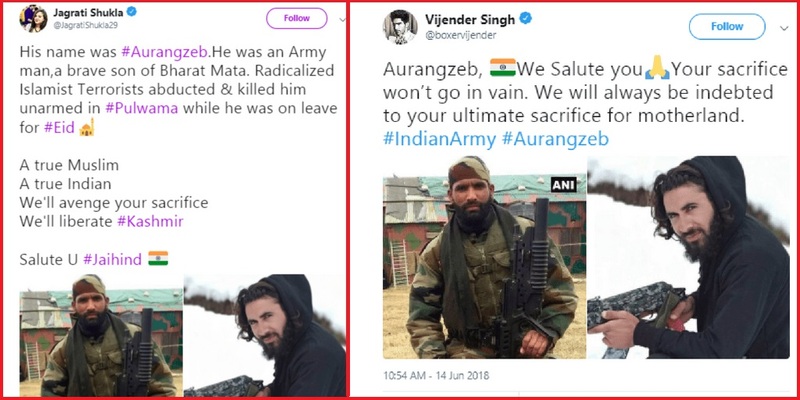 @FactCheckIndia pointed out how the wrong image is being used on Twitter with the hashtag #Aurangzeb. 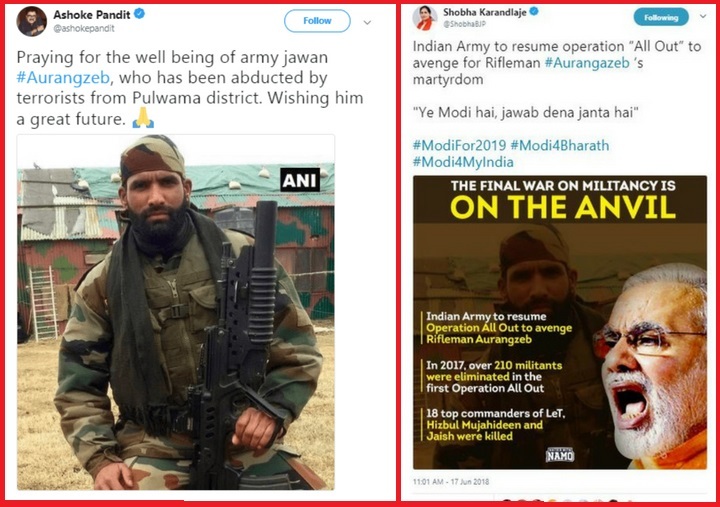 Twitter users with verified handles like Jagruti Shukla, Ashoke Pandit, Shobha Karandlaje and Vijender Singh also used the wrong image while paying tributes to the jawan. Few other Twitter users also shared the same tweet as that of Jagruti Shukla and Vijender Singh. The confusion seems to have originated from wires agency ANI’s tweet on June 14, 2018 which is now deleted. BOOM found a cached version of ANI’s tweet. In the evening of June 14, ANI issued an update stating that the Army had shared the wrong image of Aurangzeb. BOOM also found two media houses carrying the wrong image to report the murder of Aurangzeb. 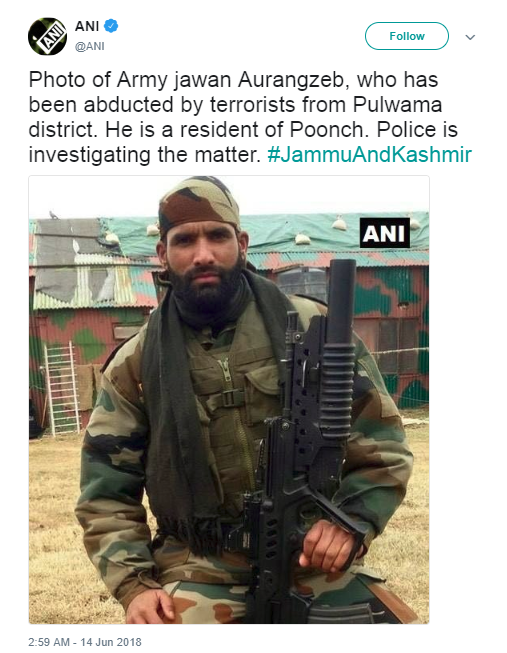 Outlook carried this image citing Twitter in their story dated June 14, 2018 while Zee News used the image in their video report titled ‘Army jawan involved in encounter of terrorist Sameer Tiger, kidnapped from Shopian district’. 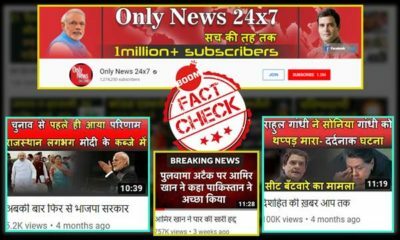 However, Zee News later updated its viewers that, ‘Indian Army confirms wrong image of Army jawan Aurangzeb circulated on social media: ANI’ as seen in this video. Aurangzeb Khan a native of Poonch in Jammu & Kashmir was on his way home for Eid when he was abducted by militants. The militants also released a video shot before he was killed in which he was being interrogated. Aurangzeb was involved in the encounter of Sameer Tiger of Hizbul Mujahedeen. On the same day, Shujaat Bukhari, Editor of Rising Kashmir was also shot dead by unidentified assailants outside his office in Srinagar.